Jesus Christ lifted our fear by giving us the capacity to face things that happen to us and to make something out of them. 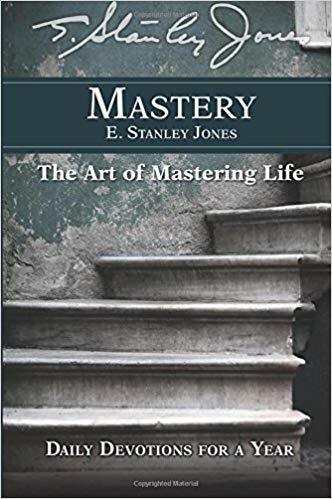 In Mastery, E. Stanley Jones shows us how to attain the moral and spiritual mastery that came to the disciples on the Day of Pentecost. He demonstrates that mastery of living comes not by being tense and anxious, but by being receptive to the grace of God and the power of the Holy Spirit. In daily inspirational readings, affirmations, and prayers for one full year, Jones offers us guidance in mastering our lives.guidance in mastering our lives.